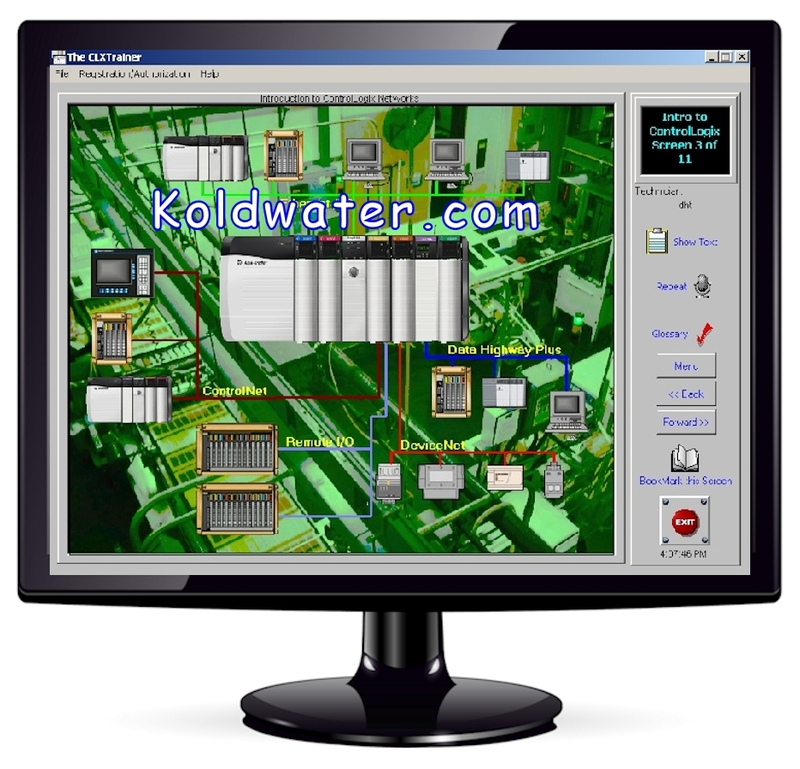 This RSLogix 5000 training software is a great next step, after completing our PLC training software. Some not being properly trained yet, may believe a PAC like Rockwell's Controllogix is a PLC and they can 'figure it out'. But after viewing the RSLogix 5000 training screen shots at the 'Details' link below, you will see there is a whole lot more to learn when working with PACs. Side Note: A PLC use a micro-processor to perform a single scan cycle in a continuous loop. 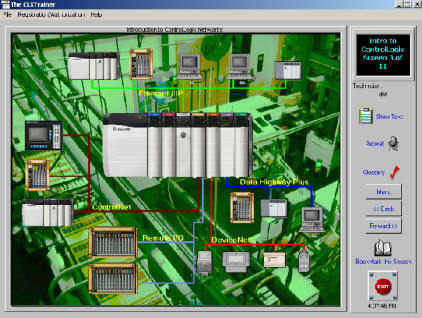 A PAC is an industrial computer with multiple full processors, that emulates a PLC while multitasking for many other control structures and programming languages. 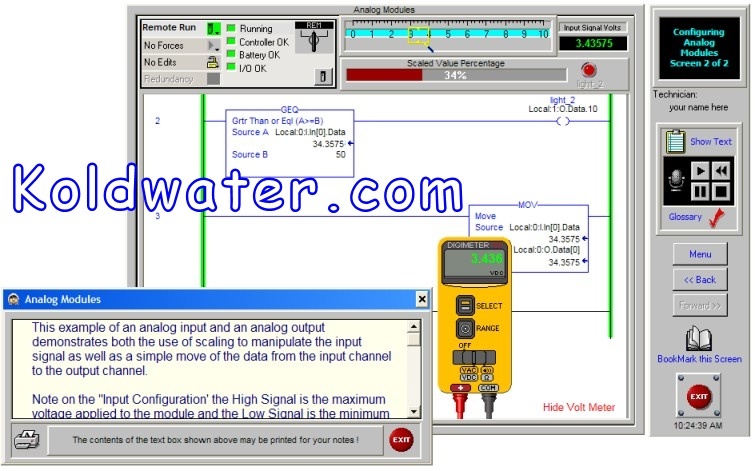 On this page and the details page at link below, you will see examples of the above facts and that this CLXTrainer software is a very cost effective Controllogix and RSLogix 5000 training solution. 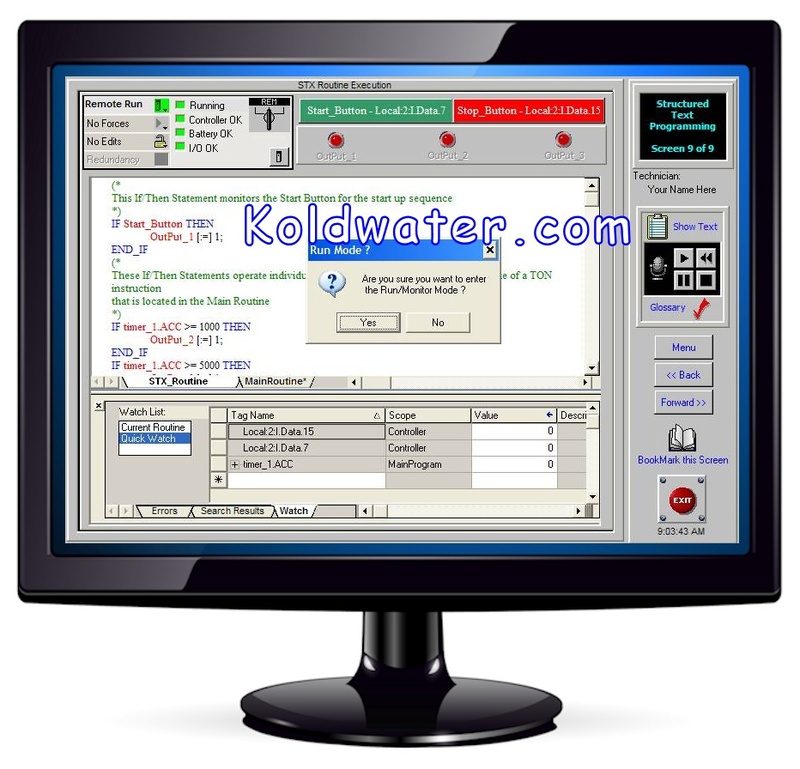 Note: This training software does not include an RSLogix 5000 simulator you can type you own code/logic into. It does allow you to interact with pre-defined RSLogix 5000 simulations relevant to topic being taught. Order Now: Note, Order will be processed by our mother company Business Industrial Network BIN95.com and confirmation email will be sent by the same. Note: Single user means 1 person only can take course. Note 2: If download, download/activation information sent by email within 24 hours. 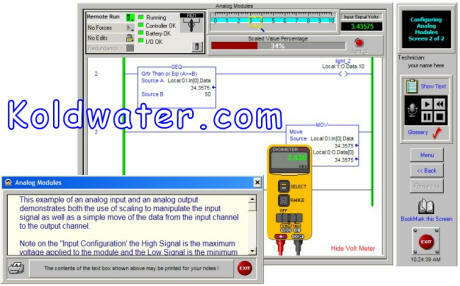 The PLC Training course is a prerequisite for the PAC (RSLogix 5000) course on this page. After completing this PAC training course, you may want to move on to the HMI Training course.